Beacon Falls Public Library is pleased to provide you with a variety of online resources for your personal and professional needs. As these are provided to Beacon Falls patrons only, please enter your barcode number from the back of your library card when prompted. 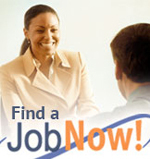 JobNow provides live interactive online help combined with online resources to guide you through the necessary tasks to get a job including writing and revising a resume, live interview coaching, and informative, easy-to-use, and free Internet resources for job seekers; including personality and career assessments. 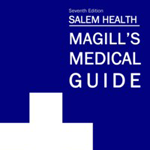 The Magill Medical Guide is a perfect mix of accessibility and depth, pro viding general readers with an authoritative reference source that helps bridge the gap between medical encyclopedias for professionals and popular self-help guides. The Guide covers diseases, disorders, treatments, procedures, specialties, anatomy, biology, and issues in an A-Z format. 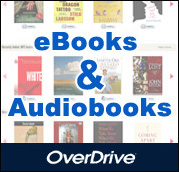 OverDrive is your library’s main downloadable audiobook/eBook platform as part of our collaboration with other Bibliomation libraries. In addition to the shared collection available, Beacon Falls patrons have direct access to over 900 titles that are only available to you. If the title t is already in use, your wait will be very much shorter! A Kids eReading Room & Teen eReading Room are also available. 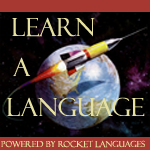 Rocket Languages allows you to learn a different language on your own terms and in your own time. With the comprehensive multi-media packages you will be speaking and improving your language skills with every lesson by taking part in the modern, everyday conversations that make up the Interactive Audio Course. 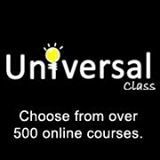 Universal Class offers you over 500 free online continuing education classes facilitated by dedicated instructors sharing their knowledge on almost any imaginable topic. From GED Preparation to Accounting 101, from Understanding Your Credit Report to Introduction to Dog Training, continue your lifelong pursuit of knowledge with Universal Class. Wowbrary offers you free weekly email alerts about your library’s newest materials. 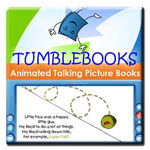 Be one of the first to learn about new titles. Reserve bestsellers instantly. In addition to the above resources provided to you by the Beacon Falls Public Library, your state tax dollars are at work giving you access to even more as noted below! Evanced Online Reading Programs In 2013 Connecticut State Library has entered into a 3 year contract with Evanced Solution to provide free, year round use of the program to all public libraries in Connecticut. The Evanced program offers an easy way to manage summer and year-round reading programs for patrons of all ages. Key features include online patron registration, reading and progress logging, prize management and distribution, drawings, and mediated reviews. Beacon Falls students have used the program for Summer Reading since 2013.